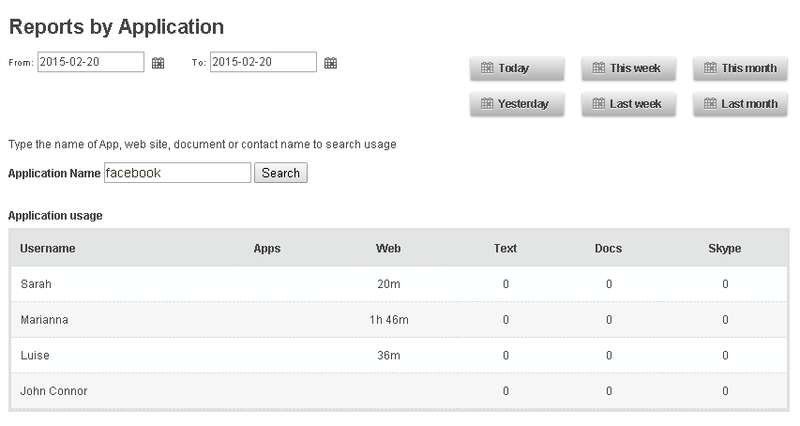 Searching by applications allows you to find out which employees are using a given application or website. For example, you can compare which employees have been using Facebook the most while at work; who has been typing the most in MS Word; or who has been writing the most Skype messages. To find this option, use Reports menu in your user profile.